While working on clearing a space (like this one from Day 4) it is a good idea to sort items into 2 piles. Trash and Donate. The key here is to work quickly. Don’t ponder on an item for more than a few seconds. 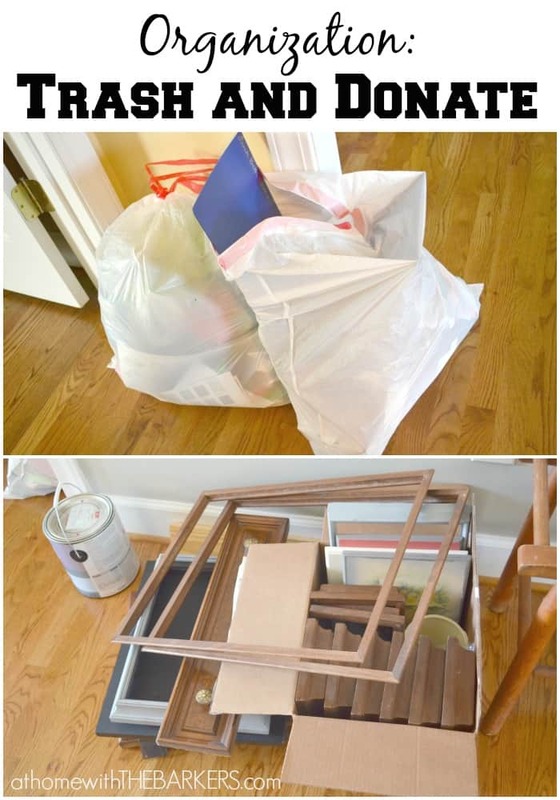 If you are like me, the item in question has been sitting around your house FOR EVER and you haven’t done a thing with it…so just decide, is it worth passing on or is it trash? My daughter and I spent some time this past Saturday sorting. We came up with this. From the before picture you can see some things that have been accomplished. I returned my sister’s table that I was borrowing but didn’t need. The end table in the front has been painted and placed in the family room. 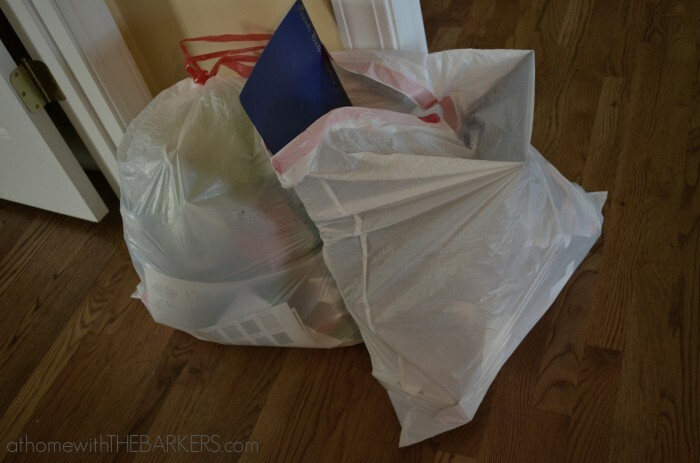 ***For the Donate pile…get that stuff out of your house as soon as possible! Seriously, pack it in your car and drop it off!! 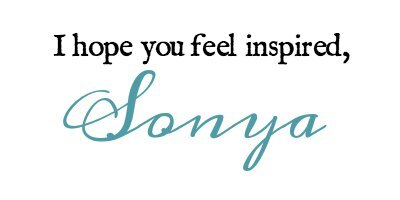 This is the very best advice I can give you! It doesn’t allow you to change your mind and keep things. Progress is being made and I am feeling really great about my 31 day series! The room does look a lot better already! Great work! I hope you’re happy what you’ve started at my house now, lol. I’ve been organizing, throwing away, donating. Just little things mostly but it’s getting done. Not that it needed it of course. I’m the worst piler and ignorer, can’t seem to break myself of it when I’m in middle of projects. I know, no excuses. 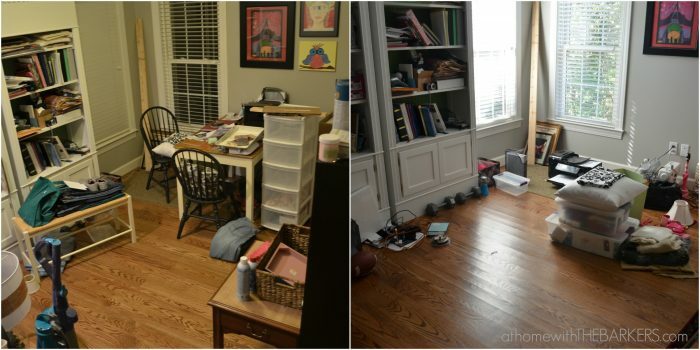 I am so glad I got to see your before and after craft room! And the framed garland is Perfect for the wall where you hung it! I just kept thinking of a garland as something to string on a tree or bannister! Hometalk, and crafter’s like you, are certainly opening up my mind to many possibilities! Thank you for your reply, and, I’ll be back! where do you donate your stuff? 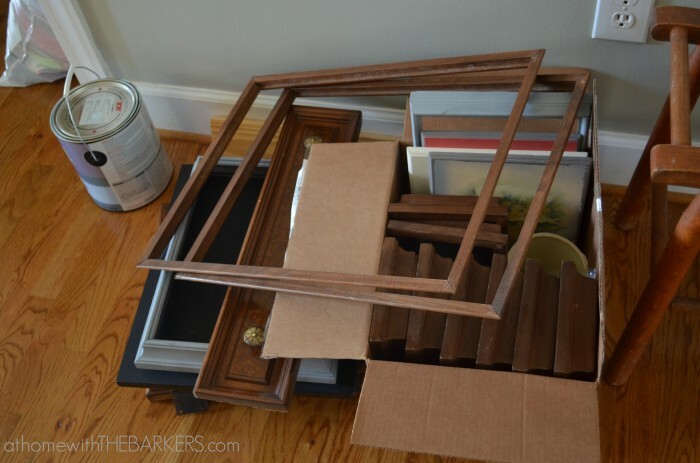 i noticed your drawer front and empty frames-will goodwill take that? i have things that are really good but i just don’t use/want them anymore-do you donate them someplace different? thanks for this series, i love it! Glad you like it! Yes, I don’t to GoodWill some but I also donate to a local place called Home with a Heart. It’s a Christian home for men in drug/alcohol rehab. They have a few local thrift stores. I take anything that I think a crafty person would find even if it isn’t how it should be. Good job…I got ton of stuff I kept to donate, mostly clothes and yet to give it off… yes decluttering house is like changing the environment to be neater and more functional place so good going… your take is simple and practical and effective, just like like clear the baggage of the past, make space in the present and don’t stress fully worry about the future.